A charming and very funny collection of short stories featuring immigrants to the US trying to learn proper English. It's never explicitly stated that they are Jewish but given Rosten's background as the author of The Joy Of Yiddish we are probably justified in assuming that mostly they are. It's also a lovely evocation of its time. There is a first book of these stories, which my Grandma had, but I haven't seen it for a long time. Big feature on Brian May's Red Special guitar. Very exciting. Made me go and buy the (new) book! (Exactly as intended I guess). Comfort, or more probably, low effort, reading. Familiar and still funny. Sick in places, sweet in others. Funny and sweet. Danny's persona (or possibly actual personality) as a wide-eyed innocent has an appeal that runs through the whole book. Although the whole activity is laudable I spent much of the book wondering where his money was coming from to do all the travelling he does. An even better book about what caused the 2008 crash and recession than Michael Lewis's excellent The Big Short - clear, concise and precise. As well as explaining it all in simple language, Lanchester has some interesting ideas: for example, he suggests that one of the contributory factors was the fall of Socialism and resulting climate of "we won", which in turn led to a belief that more capitalism and an unrestrained free-market must be even better. Ultimately he points out that at some point western society as a whole must say "enough" - not just "enough" of the out-of-control money markets, but "enough" to always wanting more stuff. It seems unfair to call this "disposable", since clearly any book takes a lot of effort. But I skim-read this comedy/romance/farce ("farce" in the literal, Faydeau sense) mainly to get to the end. Lite entertainment. 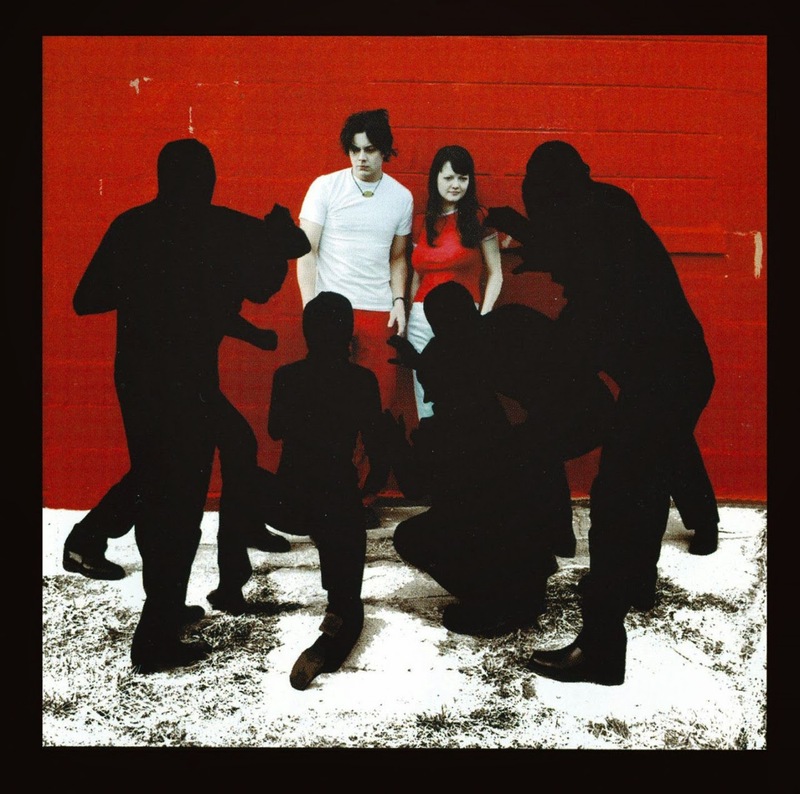 The White Stripes passed me by at the time of this album and continued to do so until a couple of years ago, when I watched the guitar geek fest that is It Might Get Loud. While thoroughly enjoyable (albeit a touch indulgent in parts), this does come across as predominantly a Jack White film, starting with a cool scene where he constructs an extremely rudimentary electric guitar with a block of wood, a couple of nails, a bottle, one guitar string and a pickup. Later there's some great footage of him playing with The Raconteurs. White is widely acknowledged as a guitar aficionado and often fêted as a next generation guitar god. However, despite my interest in all things guitar related, in general I find guitar-centric music from the likes of Steve Vai, Eric Johnson or even Rory Gallagher to be a little wearing after while. Music for listening needs to have hooks, melodies and structure. Personally, I rarely find that in music made by instrumentalists, regardless of the ability on display. White Blood Cells is much more about the songs though, I am happy to say, even given the famously stripped down line up. However, I think the quality control threshold was set a little low. There are sixteen songs here, yet the album length is barely forty minutes. Some of the tracks are just sketches, although to be fair most tracks have a germ of an idea which would be good, but is insufficiently explored; for example, "Expecting". The best developed tracks are good though. The singles - "Fell In Love With A Girl", "Hotel Yorba" - are excellent of course. "We're Going To Be Friends" is a cute nursery rhyme. "Dead Leaves And The Dirty Ground" reminds me of Bowie's "Width Of A Circle". Unfortunately there are definitely some tracks that wouldn't be missed. "I'm Finding It Harder To Be A Gentleman" kind of peters out after wandering vaguely around for a while. "Little Room" is a sketch. "Aluminum" is a load of noise, probably excellent fun to play but wears thin to listen to in about twenty seconds. Overall though nothing has captured me and I wouldn't be racing back to the album. I'm not quite sure what made this album one of Rolling Stone's top 500 albums ever.